Nintendo, I love you, but we’ve gotta talk. 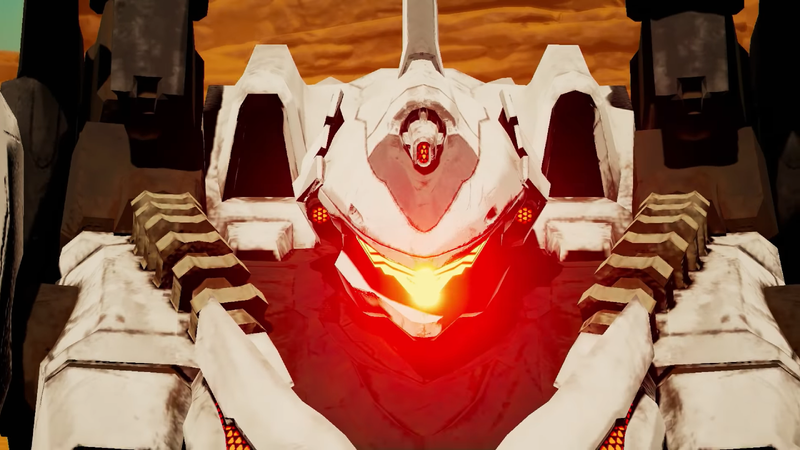 You cannot, cannot, show a game with mechs that look an awful lot like Skells from Xenoblade Chronicles X, then show X very prominently throughout the trailer, and not have that game be Xenoblade Chronicles X-2. I almost had a heart attack, and while I try to never judge a game for what it doesn’t show, I’ve gotta say that if that was actually what I thought, Nintendo would’ve gotten an A+. Anyway, on to what they actually showed, in much greater detail than any other conference. Hey, Nintendo is my specialty! But what they did show was pretty damn good anyway. While no hint of X-2 (which I wasn’t expecting anyway), we got a great new trailer for normal Xenoblade Chronicles 2’s story DLC, titled Torna ~ The Golden Country. I was kinda surprised to see some of the UI changes, and it’s awesome that we finally get to live through the events that we hear so much about throughout the entire game with Jin and Lora. And hey, a face reveal for Addam! I know most people won’t care about this, but it was a nice bone to throw to us Xenoblade Chronicles fans, and made up just a bit for the fake (albeit unintentional) XCX-2 tease. Guys, you have no idea how much I went back and forth about the year Fire Emblem Switch would come out. I was about to press publish for 2019, and then got too hopeful at the last second and made it 2018. As they tell you on multiple choice tests, you should just stick with your first choice. But even though we must wait through a cold, cold winter without the warm flame of Fire Emblem, it will melt away our sorrows with the annual rebirth of life in spring. I doubt Fire Emblem: Three Houses will reach the heights of the criminally underappreciated Fire Emblem Echoes: Shadows of Valentia, but it’s exhilarating to see our first mainline Fire Emblem game in HD. I’m excited to see what the deal is with all these troops, even if it looks a lot more complicated. I just hope “three houses” doesn’t mean “three games,” because Fates did that and got three superficial experiences instead of a singular deep one. Seriously, Super Smash Brothers Ultimate was finally unveiled, and the reel of characters that just kept going and going and going until freaking Snake came back and announced that everyone that had ever been in Smash was coming back was an awesome way to unveil it. I’m gonna let you in on a secret, but you can’t tell anyone, okay? I, the self-proclaimed Nintendo fanatic, have never played more than 15 hours of any Smash game. Shhh, don’t tell anyone! But this game looks so polished, extensive, and, well, ultimate, that I plan to really dig into this game and figure out how it works. The tournament where ZeRo just barely won really sold it for me. And maybe get some use out of all my amiibo! I was really worried that Nintendo were going to try and make me re-collect the entire Smash roster again, but that’s not the case. They’re making amiibo for the two new characters, Inking and Ridley (! ), and it makes sense that they would go back and make amiibo for all of the ones that weren’t on the 3DS and Wii U versions. Counting redesigns and Daisy, that makes for 13 new amiibo. Not nothing, but that’ll be spread out across many years, albeit likely becoming much more than 13. The amiibo hunt is back on, and I’m first in line for it. And the Octo Expansion is out… tomorrow?! HECK yeah!